This past August, Teresa Washington took on a job that you might say she was destined for. Years of non-profit and community involvement jobs led her to the doorstep of Mansfield’s The Caring Place, the organization that offers free healthcare services to the underserved and uninsured. Washington says she has always thought highly of the organization and is honored and dedicated to be serving The Caring Place as its new developmental director. She works together with the group’s board of directors, non-medical and medical volunteers who devote their time and services to those in need. Being in need is something that Washington understands firsthand. Teresa Washington was born near the cotton fields in Widener, Arkansas. As a toddler she recalls many family members sleeping together in the same bed and remembers having to go outside into the woods to use the bathroom. Her family didn’t have much in a material sense but when her mother had the opportunity to move to California, Teresa was given a new start. She says she and her mom had to work hard to make it but those lessons prepared her for life. “Giving was modeled for me. Sharing was modeled for me. Community was modeled for me. Success was modeled for me as well. My mother who could barely read eventually finished school and is now a nurse,” she says proudly today. Washington says her own background and experience have taught her to respect others for who they are, focus more on their capabilities and to honor their journey. “I always try to assume the best about a person even when things don’t look so good because there is always a reason behind a person’s actions and reactions. Err on the side of giving love and let God do the judging. I am a vessel to be obedient to His call,” she says. The Caring Place was opened in 2009 as a resource to provide free healthcare services to the underserved living without health insurance. With the support of volunteer medical and non-medical professionals, the clinic provides dental, general medical and vision services to adults. 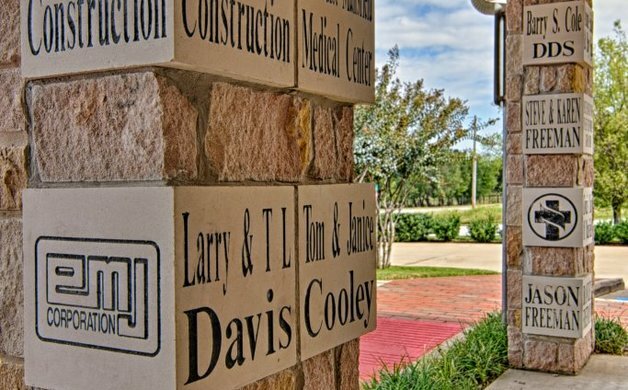 A partnership with MISD and John Peter Smith Hospital allows them to have a school-based program that provides medical services for those from birth to 21. Washington says on average 100 people are helped by The Caring Place services each week. The adult care area is open Monday through Friday, and some Saturdays, and the school-based area is open Monday through Friday. At its core, The Caring Place clinic focuses on two aspects of the community, the health and well-being of the patients and providing opportunities for those seeking to help those in need, says Washington. Both groups increase the health and well-being of the entire community. 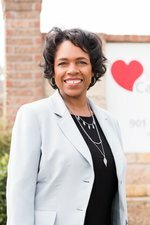 Teresa Washington is the new developmental director of Mansfield’s The Caring Place, a clinic that provides free medical, dental and vision services to those in need and without insurance. We got the chance to find out more about her, her life, her passions and the clinic. Here’s more on the personal side of Washington. What do you like most about the community of Mansfield? Mansfield is a place where the community loves to celebrate serving one another and when it gets tough Mansfieldians dig their heels in and “get ‘er done.” Even with a smile! How do you spend your free time? Hobbies? Interests? My free time is spent with my husband, two sons and our rescue dog, Buddy. Also, I actually like to volunteer in other areas like my church, my kiddos’ school and anywhere God puts on my heart. I do seek out people to help in different ways. I like to affirm people so I like giving things even to strangers. I love watching dog shows, movies about dogs, dog training. Love dogs. Where do you like to eat in Mansfield? I don’t have one favorite place to eat, honestly. I enjoy a variety of foods from Mexican to sushi or simple trail mix from Sprouts. We don’t do a lot of eating out in our home. But my favorite food would be my husband’s BBQ ribs and I could eat yams or sweet potato pie every day of my life if allowed. What’s the last book you read? I like books that teach and minister to me for the purpose of becoming a better person and I can pass them on to others. I read my Bible every day and journal. The Ministry of Healing is a great book and What Happens When Women Say Yes To God? is another good read I recently enjoyed along with, When Helping Hurts, which I read many years ago but changed my thoughts as a servant. Who or what inspires you? I am inspired by the testimonies of people that overcome hardships and are so resilient and maintain a spirit of compassion and love. I am also inspired by people that realize how blessed they are and love to share in their abundance. They both humble my heart and I can relate on some level with each. Do you travel? Where? I don’t travel much at all. I stay in the 50 states but one day I want to go to Switzerland. Favorite drink at Starbucks? My Starbucks drink is simple hot green tea. I usually enjoy my green tea matcha at home though. One person in history you would most like to have lunch with? The one person in history I would most like to have lunch with is Harriet Tubman, John F. Kennedy or, of course, Enoch! That would be too cool to talk to Enoch. Belong to professional/community organizations? I am a Leadership Mansfield graduate, an eleven year member of Crossroads Christian Church where I am a decision counselor/minister, special needs ministry leader and a small group leader alongside my husband at home for parents and their teens. I am also a spiritual mentor at the Metroplex Women’s Clinic. Awards/recognition? OMNI Humanitarian Award 2003; Texans with Character while at The Wesley Mission Center; Former Vice-Chair of Community Action Partners; Council member Place 7 City of Fort Worth; The Whole Hog Award (yes that meant I gave it all I had) as an academic counselor. Interested in volunteering at The Caring Place? To find out more, contact Teresa Washington at teresaw.caringplace@gmail.com or call the clinic at 817-473-6611.